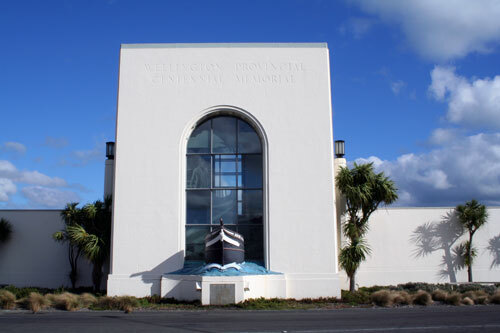 The Petone Settlers’ Museum is sited close to where New Zealand’s first organised immigrants came ashore on 22 January 1840. Built to celebrate the centenary of the landing, the structure was originally a memorial and bathing pavilion. A replica of the Aurora’s prow (the first immigrant ship) punctures the main façade.